With an initial investment from the city, Long Beach’s World Famous VIP Records’ iconic sign will be temporarily removed and restored before the parties involved agree on a permanent resting place for the iconic hip-hop record store sign. The Long Beach City Council voted unanimously Tuesday night to approve the transfer of $80,000 in discretionary infrastructure funds from the Sixth District to help aid in the costs associated with removing, preserving and temporarily storing the sign, a process that should be completed within the next two years. Sixth District Councilman Dee Andrews, whose office proposed the transfer of funds, was not present at the meeting and did not take part in the vote. Under the terms of the agreement reached by the city and the store’s owner, Kelvin Anderson, the city will finance the move and restoration and allow Anderson to retain full ownership and intellectual property over the sign. However, the sign will need to remain in the city unless given express written permission by the city to move it outside of Long Beach. The process will also initiate the application for historic landmark distinction for the VIP Records sign. The fate of the sign had been the subject of dispute in recent months as Anderson and the city publicly disagreed over what was to happen to the sign that currently sits on top of the original location of VIP Records. The most recent iteration of the shop was located in the same shopping center but was moved to a smaller unit with a lower monthly rent as Anderson had struggled to keep the business afloat in recent years. In March, Anderson had launched two online petitions regarding the sign. The first petition urged the community to support the historical designation of the sign which was promptly followed by a second petition pushing for the opposite as Anderson and his team had become convinced that the city was trying to “illegally” designate the sign with historic status, something that would have stripped Anderson of any ability to alter or move it without permission from the city. Anderson and Mayor Robert Garcia met one day after Anderson and a group of supporters appeared at the March 15 city council meeting demanding that the city stop the process of historically designating the sign against Anderson’s will. The next day, Garcia and Anderson were shown on social media posing in a photo, with the mayor holding a VIP Records t-shirt noting that the confusion had been cleared up and the historic preservation status had been put on hold. 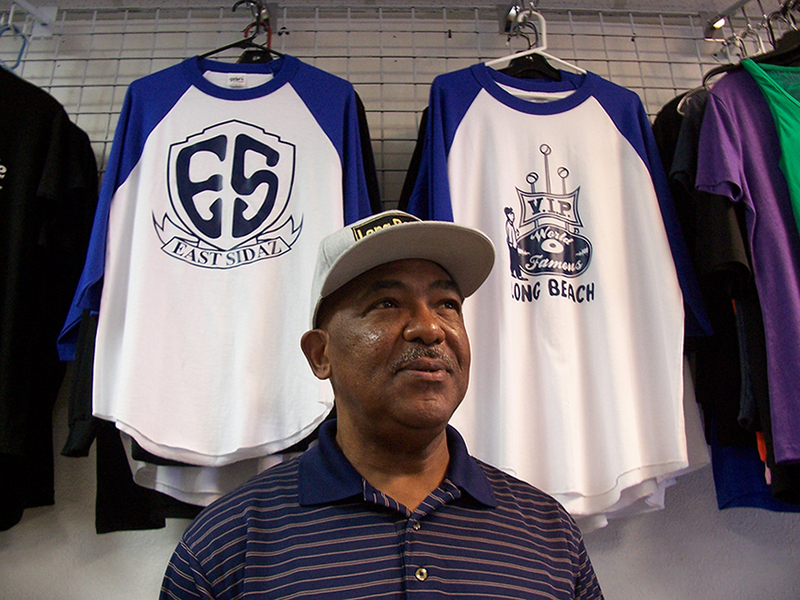 Garcia thanked Anderson for his incredible commitment to the city and the neighborhood that he served for nearly 40 years adding that by preserving the VIP Records sign, the city is preserving a world famous landmark that helped not only further the genre of hip hop in the city, but also the development of the African-American community in Long Beach. Anderson was thankful to have reached an agreement that allowed him to maintain control over the sign, something that he had sought since announcing he was officially closing down the record store in late 2015.